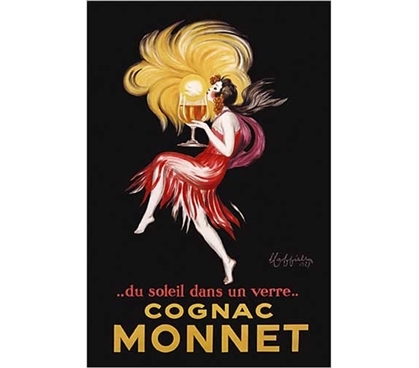 Bring a touch of refinement to your wall decor for college with this Cognac Monnet - Cappiello, Leonetto Poster. If you're into art or the style of art shown on this dorm wall decoration, you'll want to include art posters for college as part of your dorm room supplies. Remember, that dorm room will be very bland on its own, so you'll need cool art posters! No, you won't be able to create your own art on those dorm walls, but that's why cheap posters are dorm room essentials!